Medical Specialty: Psychology and Nutrition. Education and Training: MS in Early Childhood Education, MS in Clinical Mental Health Counseling, and Ph.D. in Psychology. 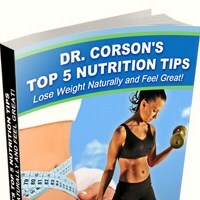 Dr. Friedman is also a Certified Nutritionist. Current Positions: With 25 years of clinical experience, she currently combines psychotherapy and nutrition in her private practice at the Center for Integrative Wellness. Community Service: Presentations at schools, public libraries, community organizations, and charities. Educational articles. Hobbies: Gourmet healthy cooking, Pilates, ongoing self-development. For more information or to order Juice Plus+, click here.